In 2016, Perth Netball Association will host over 10 000 games at Matthews Netball Centre in Wembley, providing a fun environment for thousands of players and their families to enjoy netball. PNA runs a winter competition on Fridays and Saturdays, a mid-week Spring competition on two nights and NetSetGo skills programs throughout the year, as well as providing opportunities for coach and umpire development. 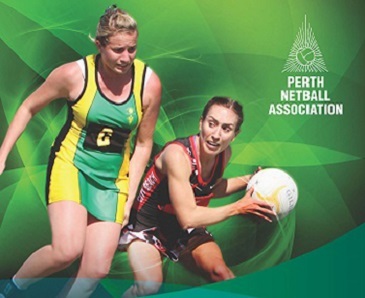 PNA, in conjunction with Netball WA, also hosts the State Association Netball Championships, a competition for high-level teams from netball associations from all over WA and overseas. A new initiative for first time netball participants, NetSetGo is Netball Australia’s only junior entry netball program. It has been developed to provide children from 5 to 10 years with the best possible learning and playing experience to develop a positive introduction to netball, ensuring enjoyment and continued participation. So why play netball? Here are just some of the reasons.. There are many ways to get involved in Netball from the new to the experienced as well as junior teams and social competitions. The Matthews’ Netball Centre is the home of grass roots netball in WA. You can find it at the Wembley Sports Park which is on the corner of Salvado Road and Selby Street in Jolimont.